This is a unique compilation of inspiring stories based on the most enchanting pieces of literature from 72 such books. 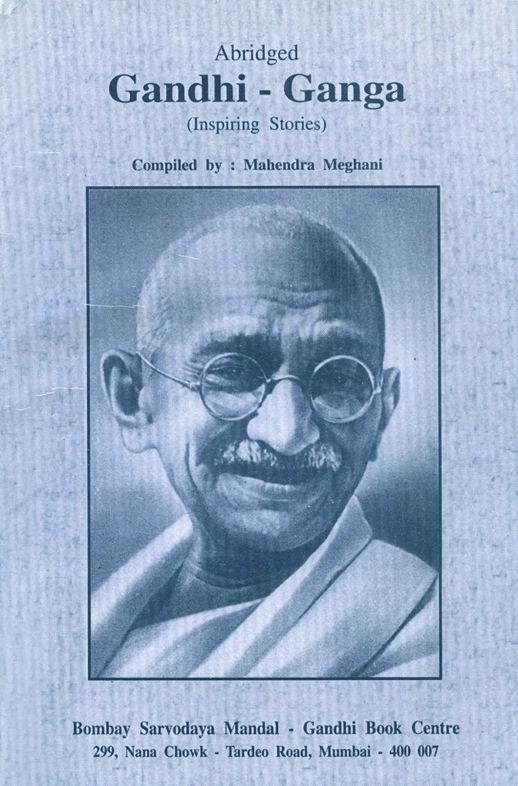 The book will inspire the younger generation to understand the philosophy of Gandhi in most beautiful and rewarding stories. It is indeed, like sea in a pitcher for a common reader who is moderately interested in knowing about Gandhi. In fact, it will meet the need of everybody, from the womb to the tomb. The outstanding stories will re-invent it not only to individuals, but also to organizations and indeed nations. It is time to get our heads out of the sand and not remain embedded like the ostrich. A very exhaustive index is given (4 – 6 pages) for any body to pick up a story relevant to his problem or difficulty. I have selected few stories from 88, for illustration and ready reference. When Sita was abducted, Jatayu braced himself to save her at the cost of his life. On that occasion the practical minded and the wiser of his lot might have said to him, “Jatayu, this is Rama’s and Ravana’s battle, why do you interfere? Both of them are mighty. There would be no trace of you left. Can you stand against Ravana? Just think of it!” Jatayu answered those elderly ones. “Ravana cannot abduct Sita as long as as I am alive!” After Gandhi’s demise, the society has lost its “Jatayu attitude”. We often hear people say, “what can we do about it? During the British regime also there were a lot of people who said we won’t stand comparison with these.” But Bapu (Gandhi) grew efficient people from this very soil itself. The people had lost their potency, but Bapu instilled Jatayu’s soul within them and revived them again (p 56). This is a timely, slim volume which will jerk the Indian people from their apathy and indifference to awake and rise to be active rather than live with the problem. The price of the book is very nominal. It is also available in Hindi, Marathi and Gujarati. I am confident everybody will like to possess such a significant book.